Inside, there is a 7025 High Grade combined with a 12AX7 for the preamp and two 6L6WGC tubes for the power amp. These are pushing all the raw tone straight to the speaker. We started with a clean channel and ended up with a great, bright and dynamic tone with straight forward Treble, Mid, Bass and Volume controls. The internal boost section allows you to extend the clean channel. 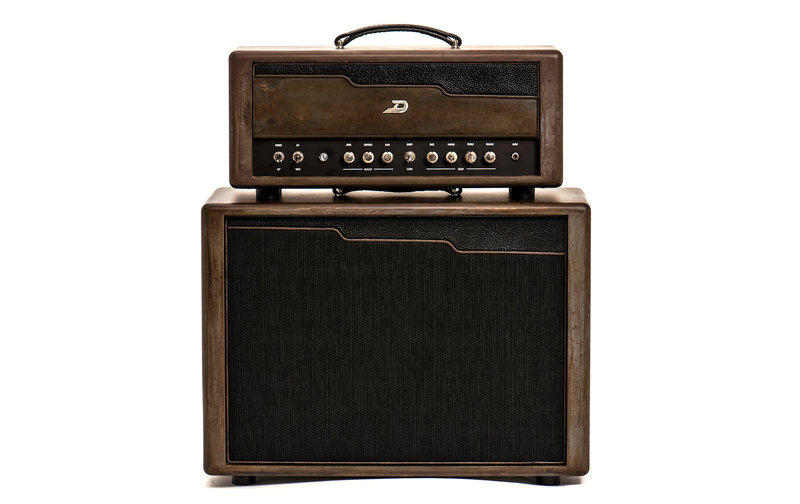 It boosts your clean signal without changing the overall texture of your tone. Additionally, the boost section can be fine tuned with Gain, Level and Contour controls. The boost can be engaged by either using the switch on the front panel, or by using the included footpedal. You can choose if you want the overall boost to be “Hi-” or “Low-Gain” by preselecting your desired level at the back. This switch does not only set the headroom for your gain dial, it also changes the whole character of your boosted tone. 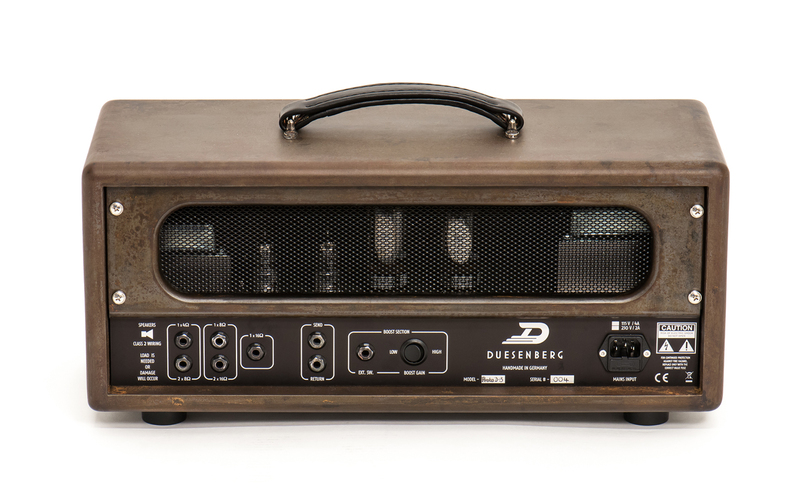 Of course you also get a passive serial effects loop, all the outputs you need (4/8/16 Ohm), a jack to plug in the included footpedal for your boost channel and a high quality Custom Duesenberg Softcover for both the amp and the cabinet. 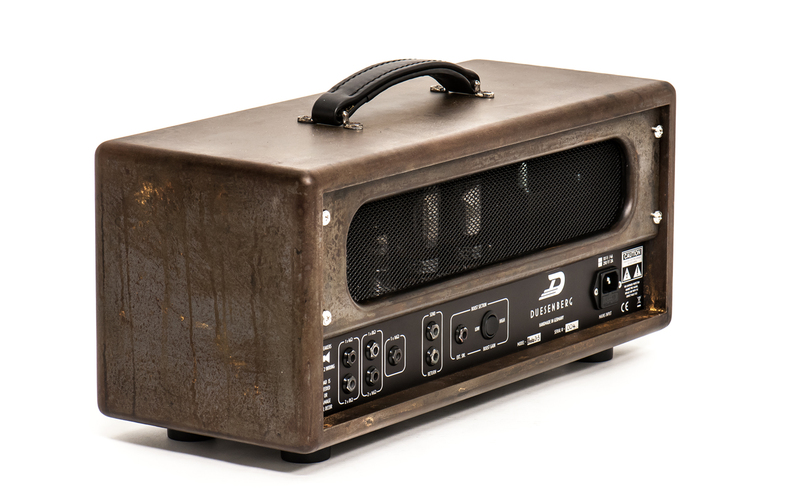 The cabinet is made from lightweight multi-ply birch and is painted and processed the same way as the amp itself. 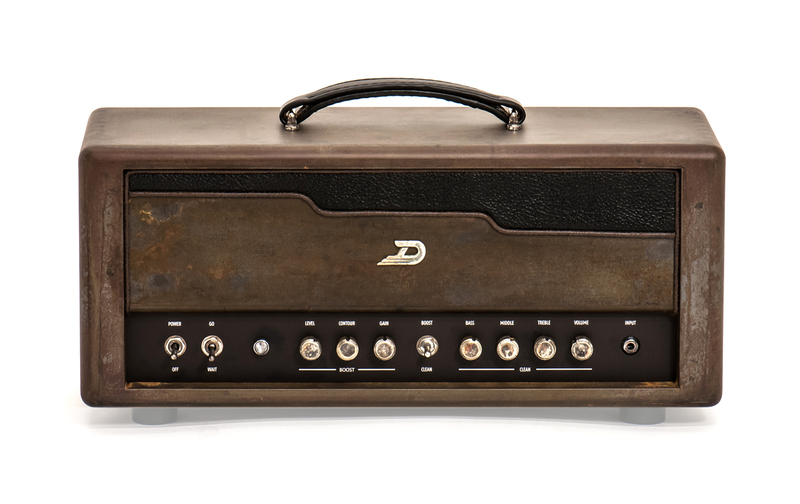 It has a semi open back and houses a Celestion Alnico Gold 8 Ohm Speaker with 50W power handling.